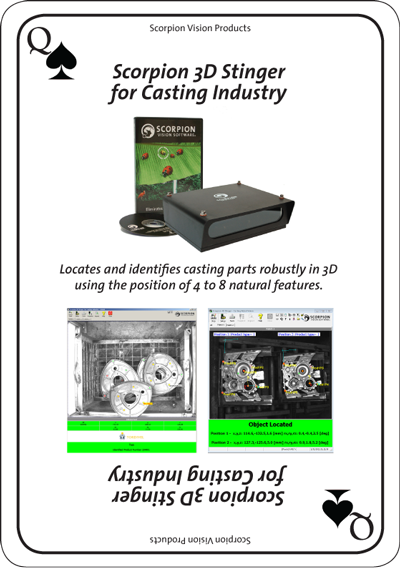 Scorpion 3D Stinger for Robot Vision targets applications in the Casting Industry. The system has been developed in the AutoCast R&D project sponsored by the Norwegian Research Council and coordinated by Jøtul AS. The system can be used for 3D Bin Picking, 3D Robot Vision, 3D Object Identification and 3D Gauging.